When tanks aren’t cleaned regularly, deposits can build up inside them. This can lead to reduced efficiency and a shorter lifespan. Hydroblast were recently tasked with cleaning a 60 tonne industrial tank for one of our clients. The tank had been blocked for 15 years by 700mm of hard product. If we weren’t able to remove the residue, the client would be required to spend a significant amount to replace it. Before all of our water jetting activities, one of our operatives will carry out a thorough risk assessment. This helps us to identify any potential dangers that our team might face when performing high pressure water jetting, and it also helps us to determine which equipment and method is best suited to the project. Industrial tank cleaning can be difficult due to their size and shape. To ensure that we performed the task efficiently and safely, we evaluated any risks to operatives such as working at height. We then took the necessary precautions to reduce the chances of an accident. We also decided that we could clean the tank remotely. By using no man entry tank cleaning, we could keep our operatives out of the blast zone. We could also reduce the likelihood of slips, falls and the inhalation of any harmful chemicals from the tank. Choosing remote cleaning also dramatically reduced the amount of time required to prepare the tank, as no scaffolding was required. To remove the hard product, we were required to use very high-water pressures. 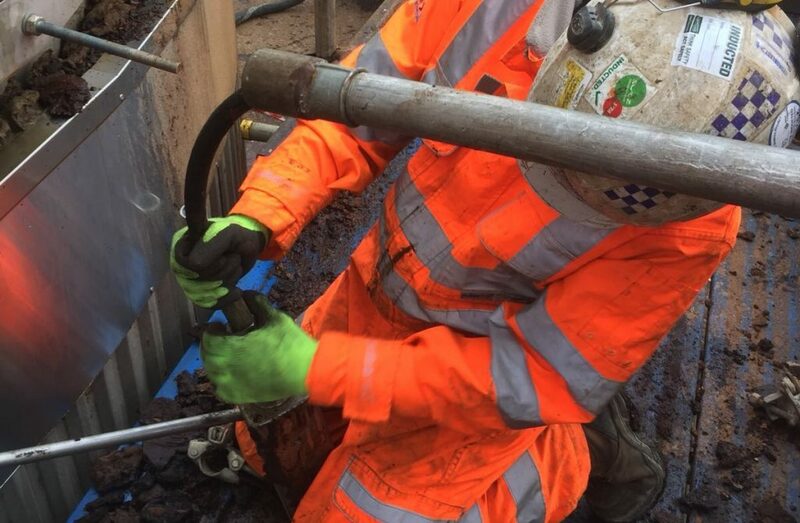 We supplied a 1000 bar stream at 260 litres per minute to effectively dislodge the blockage and clean the tank. Remote tank cleaning was made possible due to the Torus tank cleaning tool, which offers excellent handling and minimal pressure loss. Its small entry diameter also makes it suitable for use with a wide variety of tanks. We then combined the Torus nozzle with the appropriate positioning technology, and this meant that we could easily manoeuvre it to achieve the best possible results. The nozzle was also able to turn 360° for a thorough, consistent clean. 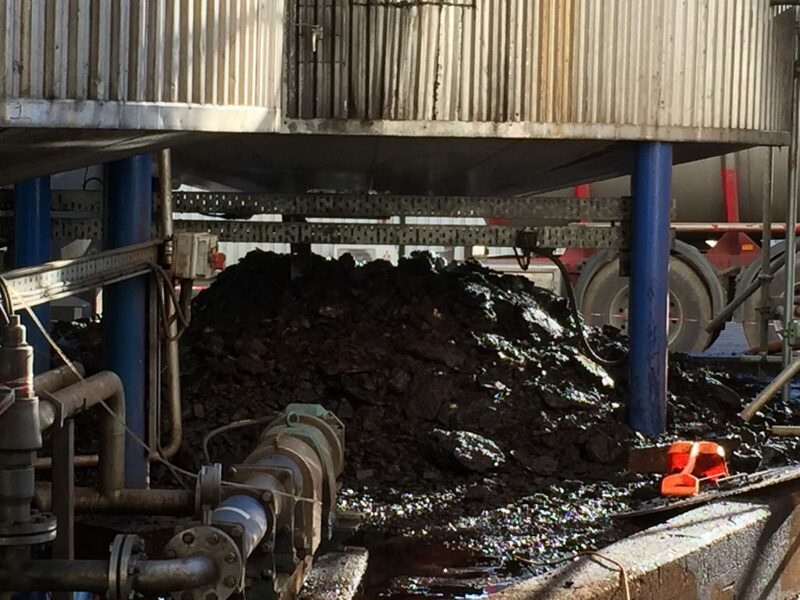 Within 24 hours, our team was able to remove all of the hard product from the 60 tonne tank. We were compliant with all safety protocols, and this meant that no injuries or accidents occurred during the project. Overall, the process was fast, effective and safe. 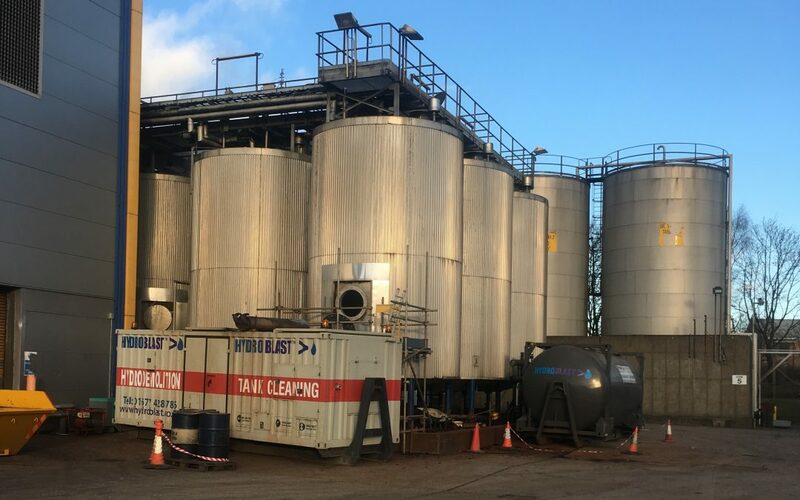 The client said that they were “very impressed – we have 3 more tanks to clean when you can come back!” Our excellent work meant that they avoided the high costs required to replace the asset, and we were able to pat ourselves on the back for another job well done! 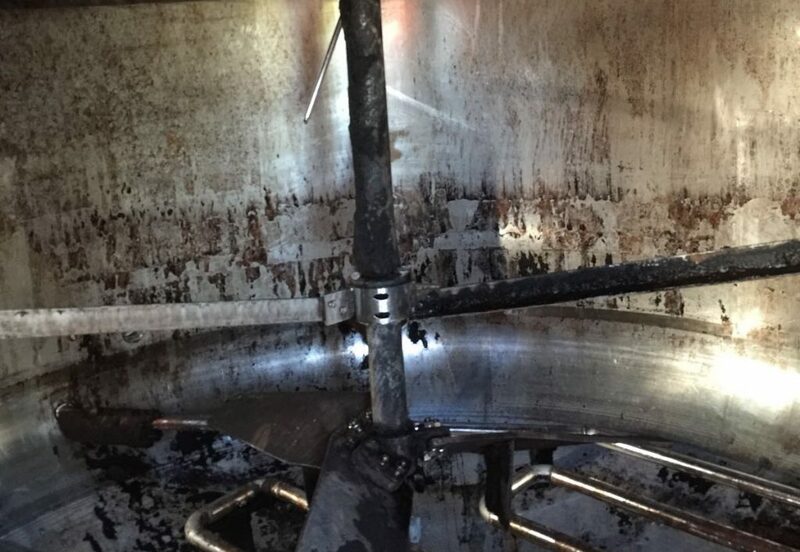 If you’d like to enquire about our industrial tank cleaning services, please don’t hesitate to get in touch today by calling Hydroblast on 01677 424542.